This mod adds the cell parts from the Early Creature Editor to the normal creature editor. It is 100% compatible with Vanilla Spore, and it works with the 2017 patched version of Spore AKA Patch 7. Creatures using this mod can be uploaded to the online Sporepedia without problems. PLEASE NOTE that this is meant for those users who don't want to have parts mods like Dark Injection or Project Bacteroid. This mod only adds existing parts to the editor and thus doesn't need the Force Save mod to save and upload. 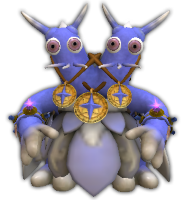 I am also aware that Davo had already made a similar mod back in 2010 and shared it here, but the difference is that this mod is made for the modern versions of Spore. Still, I hope you like this small mod, since it's my first one here and in general! Thanks! Now I'll test it out!